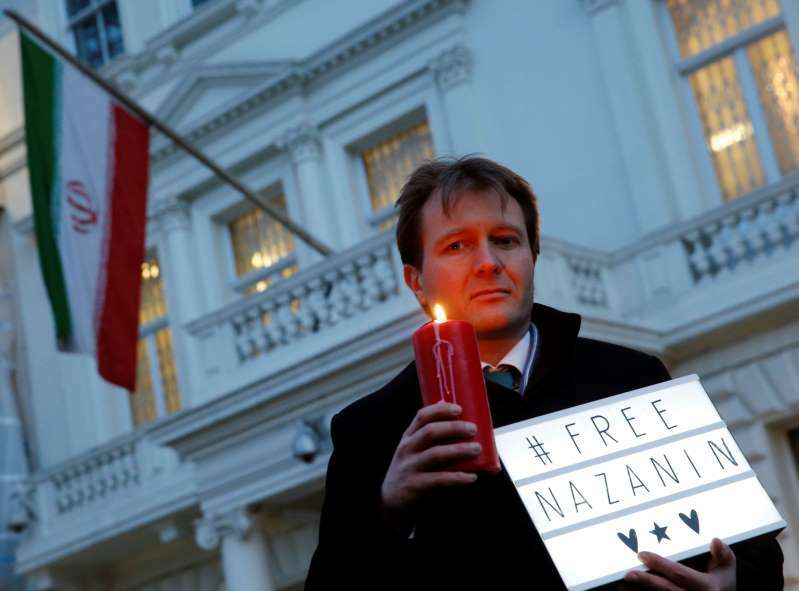 Detainee Nazanin Zaghari-Ratcliffe's husband said she called him on Monday to say she believed it may be due to British Foreign Secretary Boris Johnson meeting Iranian Foreign Minister Mohammad Javad Zarif over the now-threatened accord. Johnson, Zarif and European Union officials are trying to see if they can salvage the deal following President Donald Trump's decision to pull America out of it last week. "A deal that protects people is one that can work," husband Richard Ratcliffe said in a statement. "Failure to make it safe for people to be free from being held arbitrarily, free to visit their families in peace, will make any deal impossible to sustain." Iran's semi-official Mehr news agency on Friday quoted the chief justice of Tehran province, Gholam-Hossein Esmaili, as saying Zaghari-Ratcliffe had "another case which is being processed." Esmaili had made similar remarks in December, though Zaghari-Ratcliffe's family believed the threat had passed. Zaghari-Ratcliffe, who works for the Thomson Reuters Foundation, is serving a five-year prison sentence for allegedly planning the "soft toppling" of Iran's government while traveling with her young daughter. Ratcliffe previously warned that those new charges could add 16 years to her sentence. London now is considering repaying Tehran some 400 million pounds from a pre-1979 arms deal. Both sides say the money isn't related to Zaghari-Ratcliffe. A prisoner exchange in January 2016 that freed Washington Post journalist Jason Rezaian and three other Iranian-Americans also saw the U.S. make a $400 million cash delivery to Iran the same day. That money too involved undelivered military equipment from the shah's era, though some U.S. politicians have criticized the delivery as a ransom payment.